Each child learns at his own pace, but some have more difficulty than others comprehending what they are reading. Sometimes even with tutoring and support a student doesn’t seem to be able to master the basic skills of reading, comprehension and spelling. The issue often isn’t that the child is unwilling to learn, it is because the wrong approach is being used to try to help. This is often the case with those who have been diagnosed with auditory processing disorders. This is why Sound Reading Solutions was created and has seen monumental success in helping children learn the reading and comprehension skills for academic success. According to the American Speech-Language-Hearing Association website, an auditory processing disorder (APD) effects the way the central nervous system processes auditory information. APD is often confused with attention, memory or higher order cognitive language disorders such as ADHD or Autism. Children who have APD may have difficulty following directions, reading, or distinguishing one voice in a crowd or oral lectures. Parents of children with APD may think that they suffer from hearing loss because the child asks people to repeat what they say. Teachers will often say that the children appear to hear, but not listen to what is being said and confuses similar words like “ten” and “then”. The National Center for Learning Disabilities differentiates APD into four separate categories: Auditory Discrimination, Auditory Figure-Ground Discrimination, Auditory Memory Discrimination, and Auditory Sequence Discrimination. Subjects such as reading rely on the student’s ability to listen and interpret sounds. Research in this area centers around helping children develop the skills necessary to comprehend speech. With training and practice, the skill can be learned and children can go on to be exceptional students and lifelong learners. Games and activities that address these issues have proven to be successful in students, especially in the area of early reading support for children in grades K-3. Sound Reading Solutions reading software uses this concept to help your child master basic reading skills within a few months. 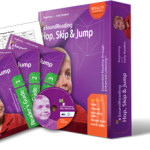 The Sound Reading Solutions reading software has seen success with children of all ages and reading levels. Even students who have tried phonics-based programs in the past without success have shown significant progress with our program. We have done years of research and field-testing to hone our method into an easy to use and comprehensive program. Our Clear Code Method and Flash Fluency methods will be able to help your struggling reader to improve her skills in as little as 20 minutes a day. Take advantage of our free reading assessment and contact us to learn how we can help your child become the student you know they can be.